Metered street parking is available. There are also several parking garages available in the area including one right next door at 555 Mission. Montgomery Station for Muni and Bart. 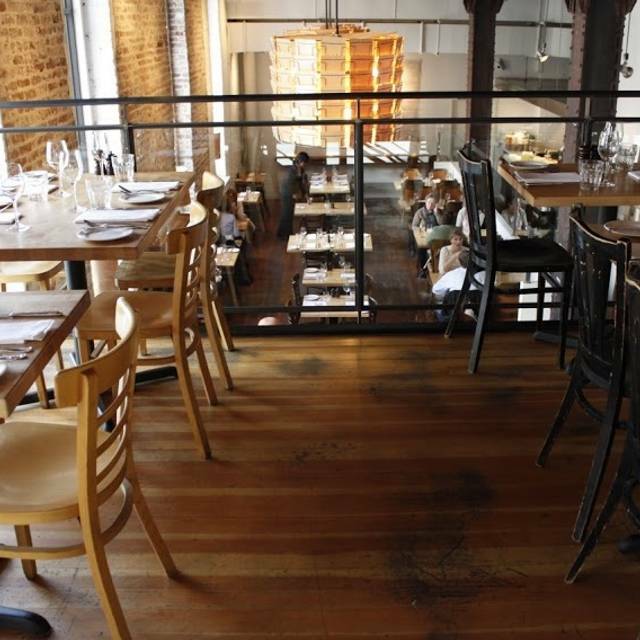 Salt House Tavern - A 75-seat, contemporary tavern housed in an old printing press warehouse built in the 1930’s. Exposed brick, original hardwood floors, 12 foot windows and oversized rusted iron girders. 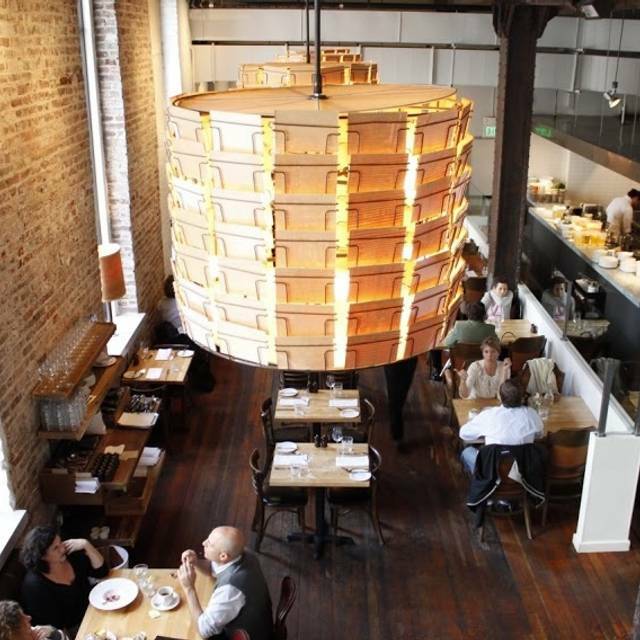 Contemporary American fare ranging from raw bar plateaus to local cheeses, appetizers and heartier main dishes. Wines from all over the world, local beers and an extensive cocktail list. Full menu anywhere you'll sit down - at the bar, the communal table, the front window counter or in the dining room! Every bite was DELICIOUS and each delish was cooled perfectly. 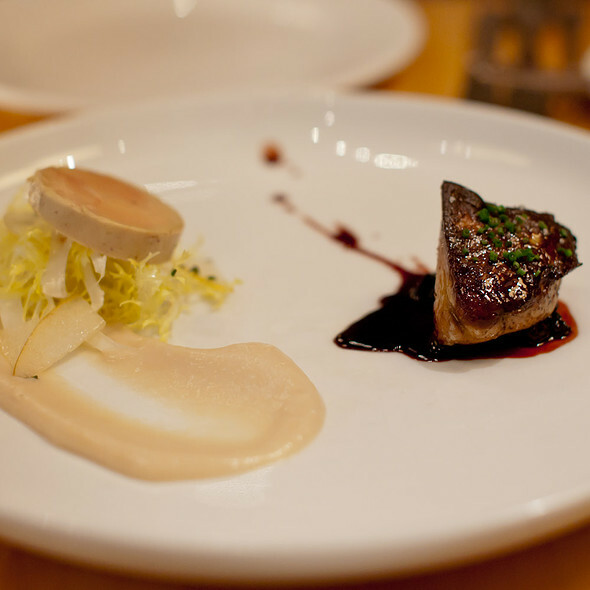 Beet salad was wonderfully refreshing, Pork Chop was hearty, Bass was delicately cooked with a crispy skin and soft fish. Lovely combination with the mushrooms, asparagus and perfect mushroom sauce. LOVED every bite! Will be back! Really wonderful evening with a friend from college and her husband. The four of us had the Duck Fat with Sour Batard, the Duck Mouse, Oysters with peppers and pineapple and Duck Fat Potatoes to start, followed by salads or veggies (well, my husband had the ribs, and we started singing the Flintstones song- they were huge!) and then entrees(2 Trout, English Pea Pasta, and Porkchop). After all that, including cocktails and wine, we split one dessert. Plenty of food, great variety, and really happy with the quality. Prices weren't that high, but the bill, given all we had, was large, so the value was just good, not great(a bargain). I read about complaints on the size of portions, but that wasn't at all the case with us. Service was charming and attentive, but not intrusive- we were busy catching up after several years. The only less than great thing was the restrooms they share with a club- really dirty from a busy night's use, but as we didn't use them until the end of the meal, right before we left, there wasn't much they could do about it. They did say they'd jump right on it, so I didn't deduct for that in the rating. I first went there many years ago, and it seemed "very (too?) trendy." 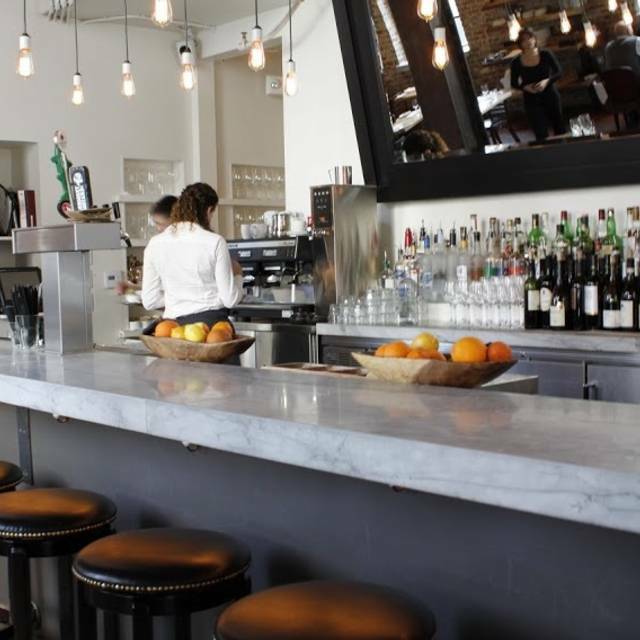 Now, it has more the feel of a neighborhood brassiere with excellent food. All food over cooked but great ambiance and service. Food was pretty bad. Shoshito peppers were overly salty. Duck was over cooked and the potatoes and Brussel sprouts it came with were inedible. Fish was completely undercooked. Will not be back and will be actively telling friends to not go. The quality of the food and creativity of the menu was outstanding. This is a case where management gets in the way of a quality restaurant. The serving sizes were too small for people who have alternative diets. Vegetarian options are limited as the salads can't be considered a meal for being to small. My eats very little. She should never leave hungry. The cocktails were all ice. $15 for less than 2 oz is a bad value. It took 20 minutes after water for our server to come back to check for our order. And that was after waiting 10 minutes for the hostess. Going cheap on staff when your menu value is poor is unacceptable. BTW, the HOSTESS is the one that had to take our order. We didn't see our actual server until well into the actual meal. Again, the food was fantastic. Complements to the kitchen! Everything else, however, results in a place I can't recommend. food was good but menu was very limited for someone with certain food restrictions (pregnant and gestational diabetes). I felt like I was getting judgement when asking about ingredients in the food I was ordering. Salt House was such a wonderful dining experience overall. The short rib for two was so delicious. Our waiter was very attentive. Ambiance was mellow and the building is gorgeous. Busy on a work day lunch. Very nice staff. Very good food. Great food, good seating. Sound could probably be controlled better with absorption material for conversations and perhaps even for a solid, local jazz ensemble every once in a while such as John Brothers Piano Company or Pepe's latin ensemble. 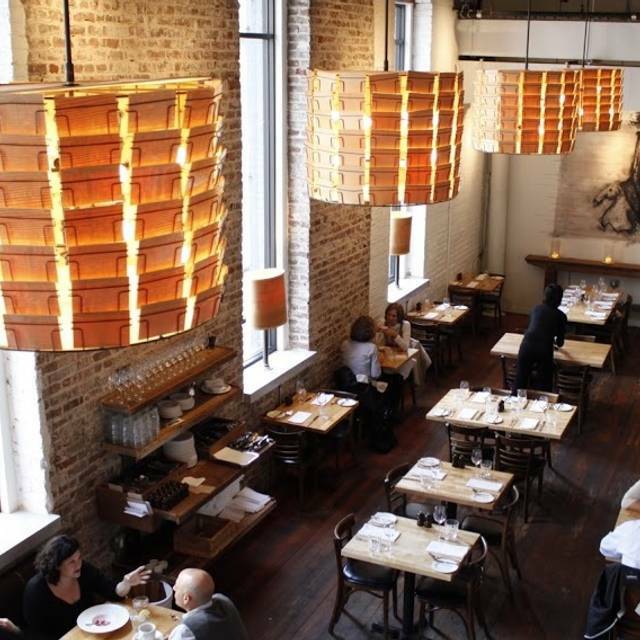 Salt House is perfect for a work lunch! 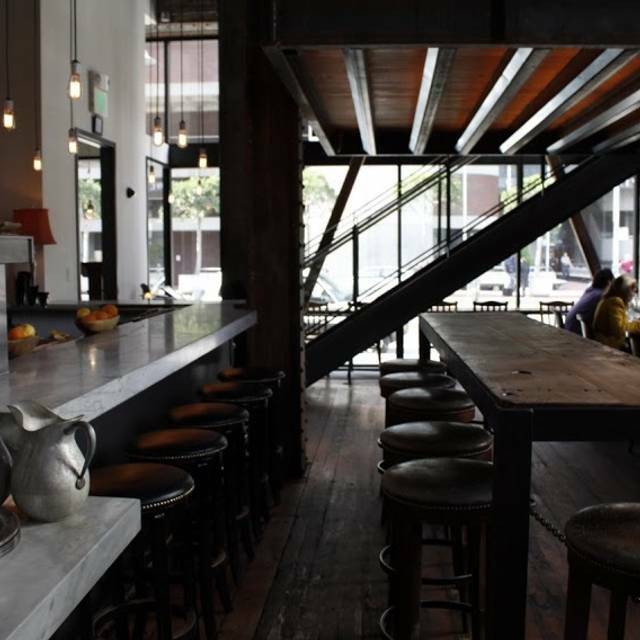 I would recommend making a reservation around 11:45 a.m. pst. Thanks! Everything was great: food, service, portions, cocktails, wine, and atmosphere. I was surprised we spent so much on 3 apps, 1 shared entree, and 1 shared dessert, but our drinks added a good chunk to the tab. I will definitely be back. Two of us had a miserable experience yesterday. We got there early for our reservation. The person at the front desk was off chatting with someone, so it took a few minutes to get seated. I got the sense that the customer wasn't that important The two tables next to us turned-over and we still had not received our lunch. We were told that it was coming any minute. The waiter than returned to say the order had not been handled correctly and it would be out momentarily, which it finally was. We were not charged, but the experience in the middle of a work day was just awful. We both had other places to be. I kept thinking you folks had some of the regulars on vacation. This has never happened before. I will come back, but not with high expectations of a great dining experience. I hope this was an anomaly. Service was attentive the staff was amazing. The food was outstanding. I have diner at Salt House many times. Our reservation time was not honored - we waited nearly 30 mins for a table even though we had a booking. The service was slow and therefore we had to rush our meal. The noise level was particularly high. Overall an unpleasant experience. Limited menu is super tasty. Service was solid. Poutine was delicious, eh? Was really disappointed in over meal and experience. Dinner portion of meal was significantly delayed with no apologies. The octopus was really chewy and you could barely cut. When I raised this as a concern, the waitress told me their octopus is known to be chewy. Isn't octopus supposed to be tender and chewy is a sign that its not cooked properly or dated? The duck was ok, but not worth the really long wait from order to when the food arrived. We found the salad to be a little bit small for such a large plate and not really that much to split, but the beet salad was fantastic nonetheless. He had the salmon—cooked to perfection, as was the Sous vide chop, finished and caramelized on the Japanese grill. We did not have dessert, as host to go to a different location just for a variety, there were a couple things on the dessert menu that we would have love, the matcha cheesecake being the first choice! The staff at Salt House knocked it out of the park and completely surpassed my and my boyfriend's expectations. 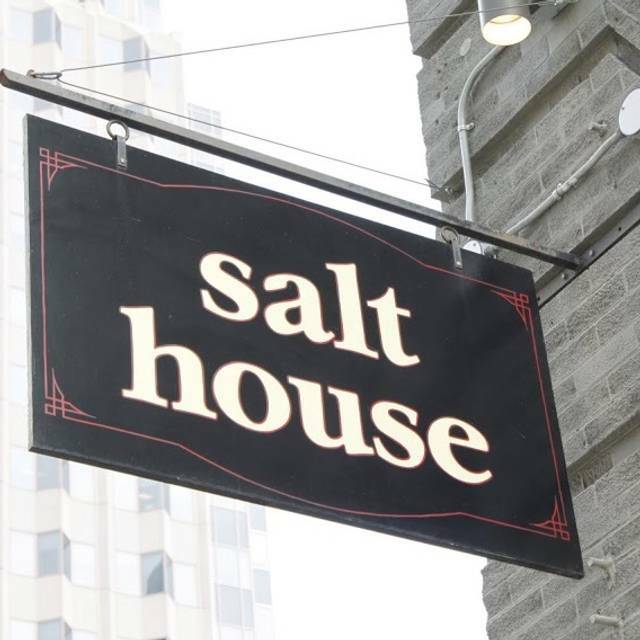 It was our last meal in SF as residents after almost two decades in the city and we chose Salt House as it was one of our first dates. The hostess seated us and mentioned the move and wished us well! And surprised us with a bubbly toast before our meal! The whole experience was just perfect! 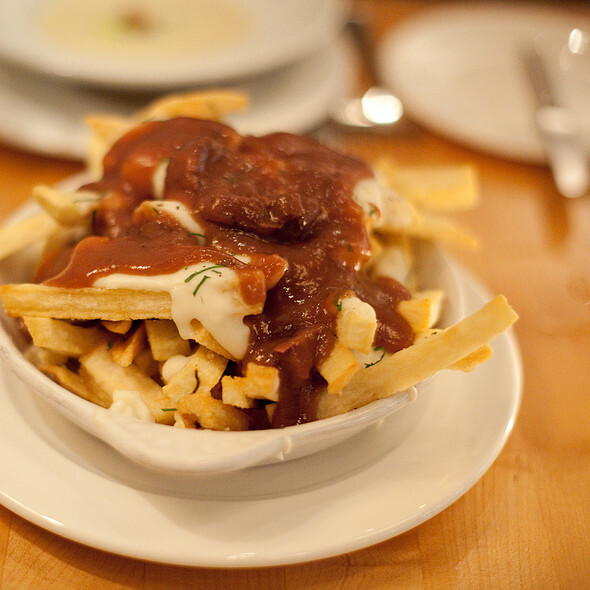 We will be back to celebrate all of our big milestones and just those nights when we crave the SF ambiance and SH's poutine! :) Thank you so much! My complaint is that the food was overdressed (salad) and both dishes too salty. For the price paid, not happy. Portions have reached a new level of minuscule. A sou-vide pork chop was flaccid and uninspired. Great room. Good food, but we’ve had much better. Service was off. Got shushi in 15 minutes, roll in one hour. Extra speedy when said no dessert-table cleared even though we weren’t through. Glad we went. Won’t go back. Another yummy & memorable meal @ Salt House. The creepy Don Quixote mural on the back wall & host with the most biz partner Doug Washington are gone, but the food & experience were the same. Good job Mitch & Steve & longterm Staff & supervisor Reagan. Our kinda missing French woman server was sweet & interesting. The food is amazing. A must try if you have not been here. The decedent warm bastardized with duck fat was melt in your mouth delicious. Followed by one of the best preparations of duck I have had. Scene is lively and the bar was packed for happy hour. 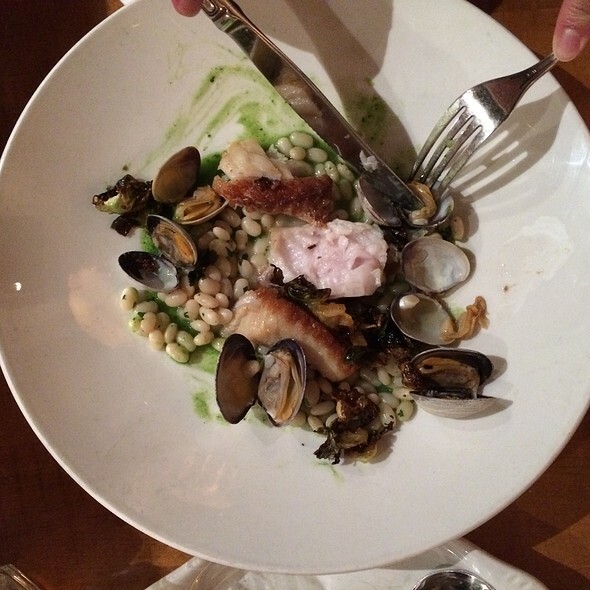 We found the service to be very attentive, the food was creative, flavorful. Desert was phenomenal!! Great staff good food and a very hip vibe. Great service. Food was very good. Great place for a business lunch. We were 5 people for a business lunch. As the only vegan in the table, I would expect there would be at least one decent dish they could make. When I asked the waitresses what the vegan options would be, she said they could only do the mixed salad (which isn't even a main course). I asked if they could add-in some things so it won't be just leaves- so I got 3 eggs in the salad... the waitresses didn't even apologize too much. Bottom line- don't go there if you're vegan or expecting good service. Great all around! Really enjoyed the service and ambiance of the place. Service was amazing and easy to have a conversation with a small group. Nice place with good food, vibe and ambiance. It's VERY noisy however so therefore difficult for lunchtime business discussions. We enjoyed a wonderful meal and attentive service. As we were celebrating our anniversary, they even welcomed us with a glass of sparkling wine. There was not a bite that wasn’t delicious. We started with the shishito peppers and the quail egg. I had the beet salad and my husband had the roasted romenesco with burrata. All were delicious! The cod was amazing and so was my husband’s duck. We can hardly wait to return for another visit! Menu is much less interesting than it used to be, service was absolutely terrible - it took 15 minutes before anyone came to greet us at the table. Appetizer came before our wine. We asked for bread when we sat down and again when our wine arrived - it arrived with our main course which was served 55 minutes after we sat down. Our server had a table of 10 that he was far more interested in attending to. Noise level was incredibly high - we were screaming at each other to have a conversation. Food (when it finally arrived) was good. Very noisy, got my order a bit wrong but nothing too bad. I would recommend for very a casual lunch. This was my 2nd visit to Salt House. Our server was friendly, knowledgeable, attentive, but not intrusive. The food is fantastic, from presentation, to flavors, and pretty good portions. I recommended the Grilled Pork Chop to my date, he LOVED it (as did I on my first visit). I had the Dry Aged British Baldy Ribeye - damn it was delicious! We shared the Matcha Cheesecake - also really divine. And all very reasonably priced! For anyone looking for a really great dining experience, that’s not overly stuffy or pretentious, they should try Salt House. It’s quickly become my favorite SF spot!